I put this Mani together after our first Gold Medal during the olympics and just found the pics again. I'm not a fan of full on gold nails really so wanted something different to celebrate so I went for a plain white nail (Models Inc "Snow White") with No. 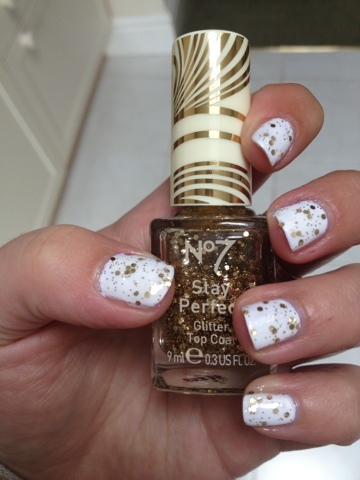 7 Stay Perfect Glitter Topcoat in Gold. I actually kind of love it, I'm not sure if it looks a bit tacky though? I really like the No. 7 top coats, I picked up the silver version as well, and I love the smaller and chunkier pieces of glitter, it's a little more difficult to apply than maybe OPI's glitters, you kind of have to push on the pieces if glitter but considering I got them with a Boots No 7 voucher for £2.50, I think they're brilliant. 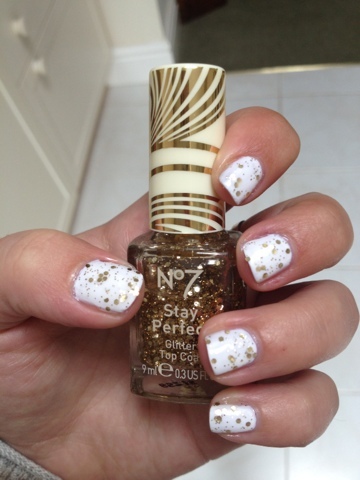 5 comments on "NOTD: Olympic Gold Nails"
I absolutely adore glitter nail polish, and this looks really good! I have a few no 7 nail varnishes and love them, never tried a glitter top coat before but it looks really good! Oh wow, I love this look. That gold glitter varnish looks amazing! I really love this look...definitely going to have to try it. 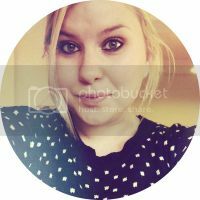 I do this thing on my blog called 'quick nail posts'...you may see this look featured in a future one!